Made in my ‘Easy Bake Oven’! 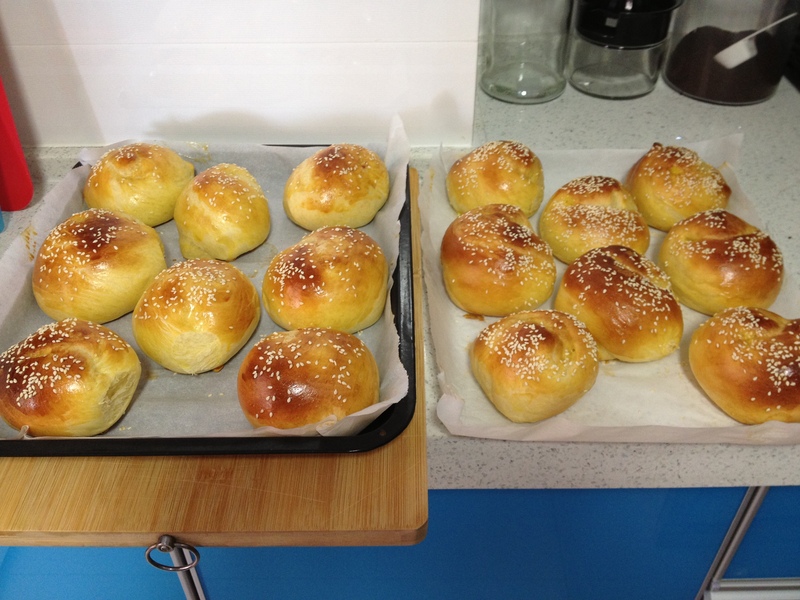 GoKunming.com posts one of my Yunnan recipes every two weeks on the ezine. It serves as a resource for the people living in Kunming, mostly expats but some Chinese read it also. There are lots of interesting news, current events, programs, and information posted for the residents of this city/area. Expats especially like to learn recipes to cook the local food so this ezine is a valuable resource. To be honest this is one of my favorite recipes, which I learned to cook recently from my Kunming friends. The sauce is really amazing and it can be made as spicy as you wish. 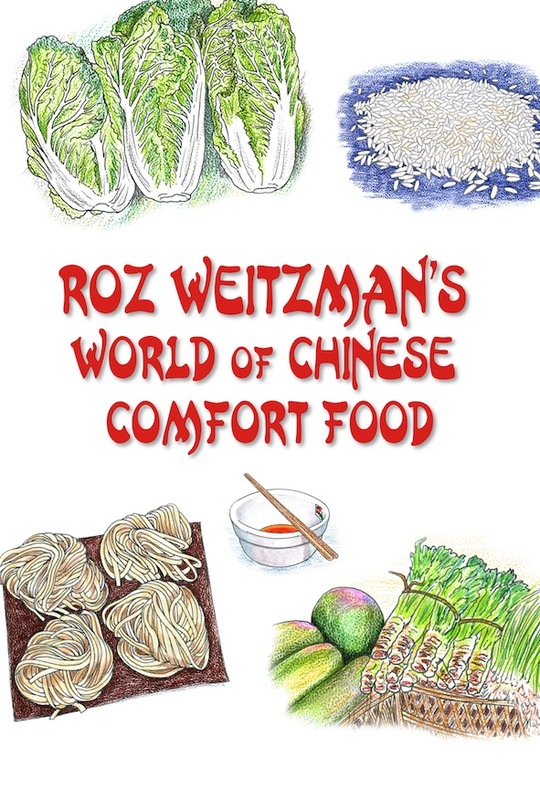 This will certainly be a featured recipe in my next cookbook, “Roz Weitzman’s World of Yunnan Food”.
. That night I called to invite her to go out for dinner and a movie. “What’s wrong, are you well?” she asked. Asparagus — Who knew ? My Mom had been taking the full-stalk canned style asparagus that she pureed and she took 4 tablespoons in the morning and 4 tablespoons later in the day. She did this for over a month.. She is on chemo pills for Stage 3 lung cancer in the pleural area and her cancer cell count went from 386 down to 125 as of this past week. Her oncologist said she does not need to see him for 3 months. Case No. 1, A man with an almost hopeless case of Hodgkin’s disease (cancer of the lymph glands) who was completely incapacitated. Within 1 year of starting the asparagus therapy, his doctors were unable to detect any signs of cancer, and he was back on a schedule of strenuous exercise. Case No. 2 , A successful businessman 68 years old who suffered from cancer of the bladder for 16 years. After years of medical treatments, including radiation without improvement, he went on asparagus. Within 3 months, examinations revealed that his bladder tumor had disappeared and that his kidneys were normal. Case No. 3, A man who had lung cancer. On March 5th 1971, he was put on the operating table where they found Lung cancer so widely spread that it was inoperable. The surgeon sewed him up and declared his case hopeless. On April 5th he heard about the Asparagus therapy and immediately started taking it. By August, X-ray pictures revealed that all signs of the cancer had disappeared.. He is back at his regular business routine. Case No. 4, A woman who was troubled for a number of years with skin cancer. She finally developed different Skin cancers which were diagnosed by the acting specialist as advanced. Within 3 months after starting on asparagus, her skin specialist said that her skin looked fine and no more skin lesions. This woman reported that the asparagus therapy also cured her kidney disease, which started in 1949. She had over 10 operations for kidney stones, and was receiving government disability payments for an inoperable, terminal, kidney condition. She attributes the cure of this kidney trouble entirely to the asparagus. I was not surprised at this result, as `The elements of materia medica’, edited in1854 by a Professor at the University of Pennsylvania , stated that asparagus was used as a popular remedy for kidney stones. He even referred to experiments, in 1739, on the power of asparagus in dissolving stones. Note the dates! We would have other case histories but the medical establishment has interfered with our obtaining some of the records. I am therefore appealing to readers to spread this good news and help us to gather a large number of case histories that will overwhelm the medical skeptics about this unbelievably simple and natural remedy. For the treatment , asparagus should be cooked before using, and therefore canned asparagus is just as good as fresh. I have corresponded with the two leading canners of asparagus, Giant and Stokely, and I am satisfied that these brands contain no pesticides or preservatives. Place the cooked asparagus in a blender and liquefy to make a puree, and store in the refrigerator. Give the Patient 4 full tablespoons twice daily, morning and evening. Patients usually show some improvement in 2-4 weeks.. It can be diluted with water and used as a cold or hot drink. This suggested dosage is based on present experience, but certainly larger amounts can do no harm and may be needed in some cases. As a Biochemist I am convinced of the old saying that `what cures can prevent.’ Based on this theory, my wife and I have been using asparagus puree as a beverage with our meals. We take 2 tablespoons diluted in water to suit our taste with breakfast and with dinner. I take mine hot and my wife prefers hers cold. For years we have made it a practice to have blood surveys taken as part of our regular checkups. The last blood survey, taken by a medical doctor who specializes in the nutritional approach to health, showed substantial improvements in all categories over the last one, and we can attribute these improvements to nothing but the asparagus drink. As a biochemist, I have made an extensive study of all aspects of cancer, and all of the proposed cures. As a result, I am convinced that asparagus fits in better with the latest theories about cancer. Asparagus contains a good supply of protein called histones , which are believed to be active in controlling cell growth.. For that reason, I believe asparagus can be said to contain a substance that I call cell growth normalizer . That accounts for its action on cancer and in acting as a general body tonic. In any event, regardless of theory, asparagus used as we suggest, is a harmless substance. The FDA cannot prevent you from using it and it may do you much good. It has been reported by the US National Cancer Institute, that asparagus is the highest tested food containing glutathione , which is considered one of the body’s most potent anticarcinogens and antioxidants. Posted in Friends, In the News, Thoughts! Tomorrow I am celebrating American Thanksgiving. It so international. I love it, and partly why I am here. On Friday I hope to add a picture or two. 8) organized together with my friend, William, a California entrepreneur living in Kunming for the past 10 years. Posted in Friends, In the News, Just for Fun, Thoughts! While on a road trip, an elderly coupleStopped At a roadside restaurant for lunch. Restaurant, and resumed their trip. When leaving, the elderly woman unknowinglyLeft her glasses on the table, and she didn’t Miss them until they had been driving for about forty minutes. Became the classic grouchy old man. Just wouldn’t let up for a single minute. Get my hat and the credit card. This coming week is National Senior MentalHealth Week. You can do YOUR part ByRemembering to contact at least one Unstable Senior to show you care.. I have now done MY part. Watch this video..a lovely walk down memory lane….loved this video, I’m 100% sure you will too.